The Actions in the PDF/A & PDF/UA group are used to convert and optimize the PDF/A (long-term archiving) and PDF/UA (universally accessible PDF) standards. The PDF/A Action lets you convert PDF files to PDF/A in line with your desired compliance level. 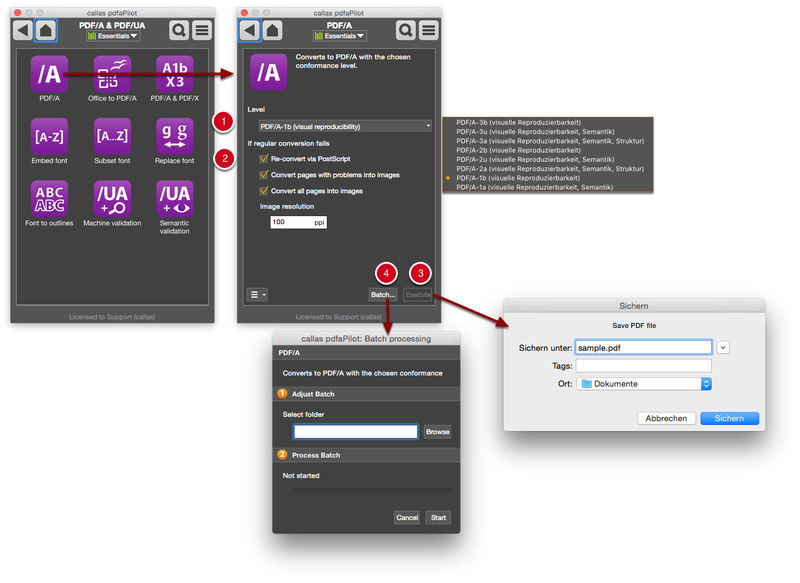 Under Level, you can specify the compliance level of the PDF/A file to be created. The effects of each setting are shown in brackets after the name. If pages are to be converted into images, the desired Image resolution can also be set in ppi. When converting pages into images, the program automatically generates an invisible text copy (where possible) to ensure that the PDF remains searchable. 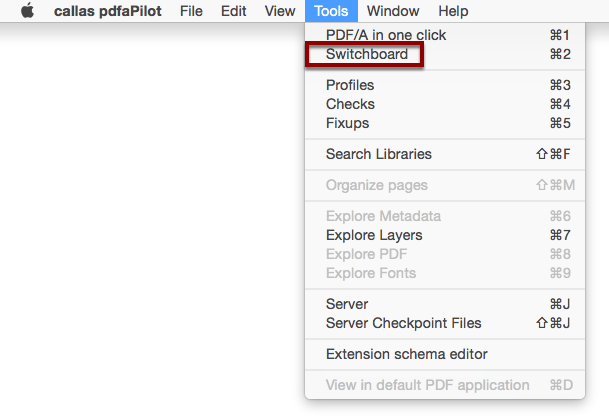 Click Execute to convert the current PDF document using the specified settings. 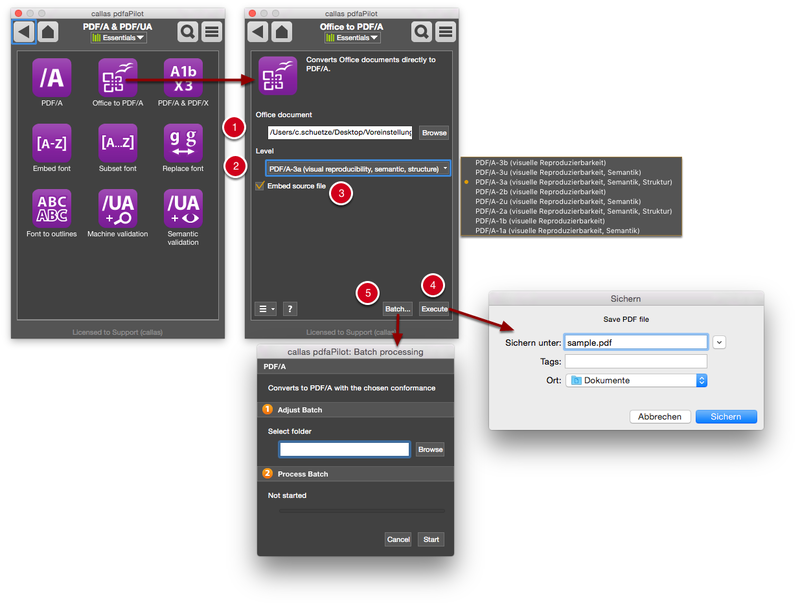 Click Batch to process batches of PDF files within a single folder using the specified settings. 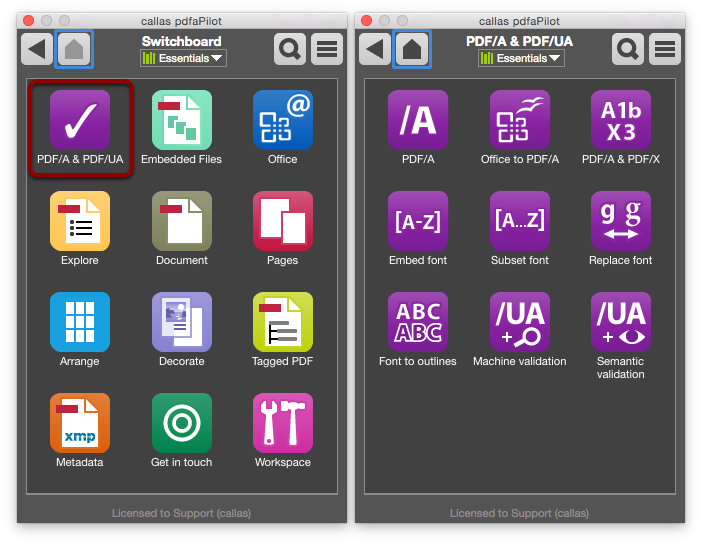 pdfaPilot also allows you to convert Office documents to PDF/A. Under Office document, select the desired file by clicking Browse and using Finder or Explorer to locate the file. The Embed source file option is available when converting to PDF/A-3. This means that the original Office document will be embedded into the PDF/A-3 file. Click Execute to convert the current PDF document using the specified settings. A Save dialog will ask you to enter the name and storage location for the new file. Click Batch to process batches of Office files within a single selectable folder using the specified settings.